These aren’t just words. They’re the heritage of M. G. Dyess. They are the foundation on which we stand. We are a group of people committed to character in all that we do. It shapes our vision and has forged our success. We are defined by innovation, ingenuity, and an absolute refusal to fail. Honesty, integrity, and dependability punctuate everything we do, and our dedication to hard work never fails to produce work that we stand behind. We believe in giving our customers the absolute highest level of service possible. We believe in hard work and in trustworthiness. We are successful because of unmatched dependability, passion, and teamwork. 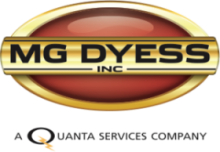 We are M. G. Dyess, Inc. – until recently aquired by Quanta Services Inc., we were a privately owned Mississippi corporation providing pipeline construction and related services to the oil and gas industry since 1992. Over the span of 20 years, we’ve cultivated and maintained a reputation as a dependable driver of technology and innovation, a trusted partner, and an industry leader. We see every projects through from start to finish, we’re accountable to the smallest detail, and we forge relationships that last. HITO had the opportunity to help MG Dyess on the Nexus Gas Transmission Line in Ohio. 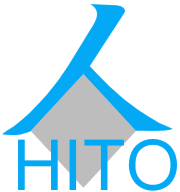 Unfortunately, HITO only provided baseline schedule services. The project was postponed in July 2017 due to the lack of FERC quorum in early 2017.